Gov. Jerry Brown is expected to sign a bill Monday that will increase access to college financial aid for undocumented immigrants. Brown is to appear with the author of the bill, Assemblyman Gilbert Cedillo (D-Los Angeles) at Cal State Los Angeles on Monday afternoon. The governor’s spokesman, Gil Duran, confirmed that Brown intended to sign the legislation, known as the California Dream Act. Similar legislation had been vetoed by Gov. Arnold Schwarzenegger. 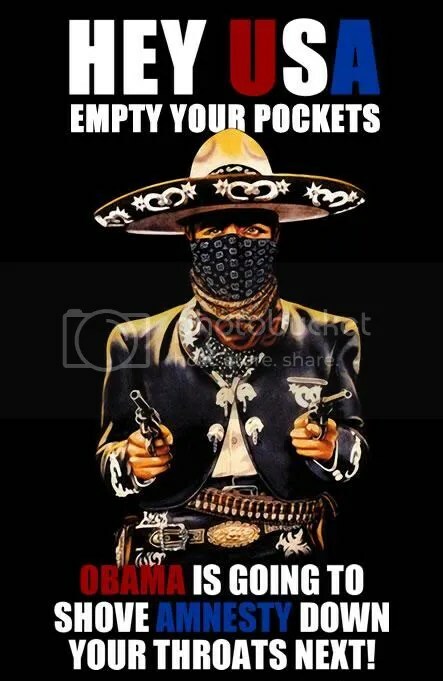 Patriots, just another example of Socialist Democrats selling out Americans, who will pay for the illegals college financial aid–you know the answer WE LEGAL AMERICANS WILL, while we scrape and save to send our kids to college these vermin, these illegal law breakers, waltz off to our colleges and we foot the Bill. California is an “ungovernable’’ financial catastrophe from which businesses are fleeing and where taxpayers are being crushed by the burden of caring for welfare recipients and illegal immigrants. Look at Los Angles it is almost completely Hispanic and close to half are illegals, look at the mayor of Los Angles he is Hispanic and sides with illegals, look at the city council same thing. 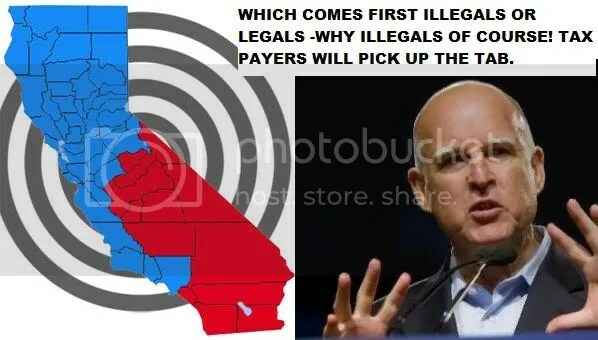 It is no wonder that tax paying hard working LEGAL Californians are leaving the Mexico state of California as fast as they can. America we are being sold out by our government at every level, they bend over and kiss the backsides of illegals, and we are handed the tax bill and told to PAY UP. When is this going to end –NEVER UNLESS WE STAND TOGETHER! This is a sell out this is a give away, this is our government sticking their thumb in the eye of all LEGAL Americans. WHAT ARE YOU GOING TO DO AMERICA? You and I don’t propose a federal budget. The President does. You and I don’t have the Constitutional authority to vote on appropriations. The House of Representatives does. You and I don’t write the tax code, Congress does. 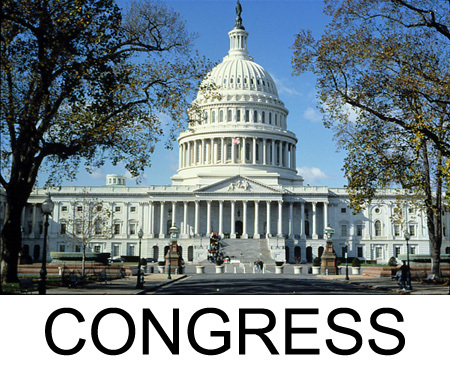 You and I don’t set fiscal policy, Congress does. You and I don’t control monetary policy, the Federal Reserve Bank does. What separates a politician from a normal human being is an excessive amount of gall. No normal human being would have the gall of a Speaker, who stood up and criticized the President for creating deficits. only the President can propose a budget. He cannot force the Congress to accept it. The Constitution, which is the supreme law of the land, gives sole responsibility to the House of Representatives for originating and approving appropriations and taxes. Who is the speaker of the House? 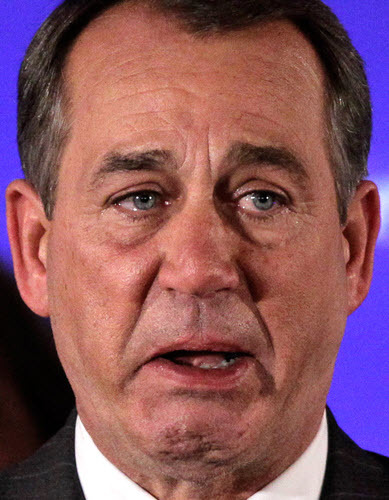 John Boehner. He is the leader of the majority party. He and fellow House members, not the President, can approve any budget they want. If the President vetoes it, they can pass it over his veto if they agree to. It seems inconceivable to me that a nation of 300 million cannot replace 545 people who stand convicted — by present facts — of incompetence and irresponsibility. I can’t think of a single domestic problem that is not traceable directly to those 545 people. When you fully grasp the plain truth that 545 people exercise the power of the federal government, then it must follow that what exists is what they want to exist. Do not let these 545 people shift the blame to bureaucrats, whom they hire and whose jobs they can abolish; to lobbyists, whose gifts and advice they can reject; to regulators, to whom they give the power to regulate and from whom they can take this power. Above all, do not let them con you into the belief that there exists disembodied mystical forces like “the economy,” “inflation,” or “politics” that prevent them from doing what they take an oath to do. written by: Charlie Reese is a former columnist of the Orlando Sentinel Newspaper. Liberals will tell you in no certain terms they are in fact elite-they will not use the word elite but what they say about themselves means the same thing. They know it all, they are the most highly educated, well informed,all knowing people in the world (according to them) and if you or I or anyone else disagrees with whatever they are discussing, well hell you are just a big dummy, you just don’t get it! The National Education Association working to fulfill the Democrat Socialist Parties Socialist Agenda by using OUR CHILDREN. 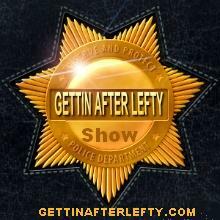 Why is the political left so scared of the “birth certificate” issue, while many on the right dismiss it? 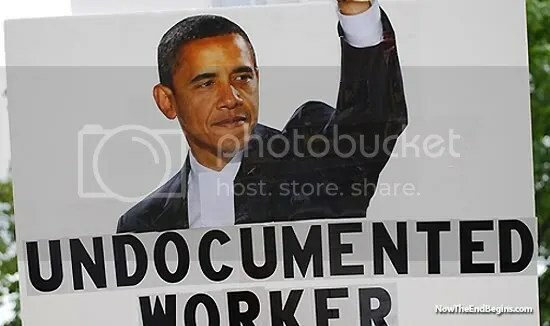 The left-wing Mother Jones magazine recently published a lengthy piece by David Corn explaining why the new push by at least 10 states to require proof of constitutional eligibility before future presidential candidates can get on ballots is such a threat to Barack Obama. The article virtually assumes Obama does not have a long-form Hawaii birth certificate to show states in 2012. So why is the left apoplectic about states enforcing the Constitution? Because, to the left, political empowerment trumps the Constitution seven days a week and twice on Sunday. 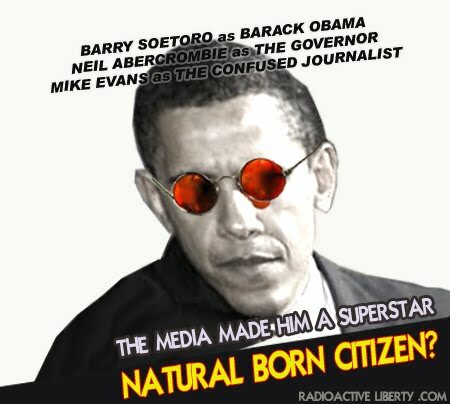 In fact, they are incapable of even viewing legislation designed to enforce the Constitution’s requirement that U.S. presidents are “natural born citizens” as anything other than political tricks designed to drive Obama from power. In case you can’t figure out the translation of that message, it’s simple: The end justifies the means. Anything and everything that elevates the left’s agenda is good – no matter what. In the world of real politick, this mindset has resulted in mass murder on a scale that is unimaginable to most Americans, gulags, concentration camps, forced abortions, state-created famines, holocaust and unspeakable terror. To the left, the Constitution is nothing more than a tool to be manipulated and distorted to support its statist agenda. Meanwhile, though, tens of millions of Americans awakened to a shocking political reality after the 2008 election: The system had broken down. No controlling legal authority vetted the winning candidate to ensure he was constitutionally eligible to serve as president. 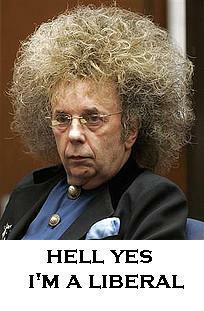 According to the latest poll done on the subject, 58 percent of Americans have doubts about Obama’s eligibility. It would seem only natural that a grass-roots political movement has arisen at the state level to ensure such a fiasco is never repeated. But, at the same time, most Republicans and high-profile conservative activists are as afraid of this eligibility issue as the left is. * Like the establishment news media, they not only missed this epic development as it was unfolding in 2008, but many of them have continued to dismiss it as inconsequential and “not a winning issue.” “We have more important ideas to debate,” they say? More important? 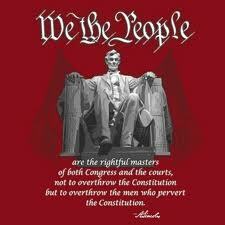 What is more important than the integrity ofthe Constitution? * They are incapable of standing up to the news media heckling on this issue. They are afraid of being portrayed as “birthers,” “conspiracy nuts” and having the issue blow up in their faces. That’s why I am so proud of the state legislators who have moved this issue down the road. This isn’t just about Obama. This is about the future of our country – whether we are going to continue to live in a nation governed by the rule of law or if we intend to abandon the constitutional framework that has guided us for 222 years. To me it’s important to strengthen the Constitution whether Obama passes the test of eligibility or not. As a nation, we should never again live in doubt as to whether the occupant of the White House is legitimate or not. Like it or not, we will never be able to answer that question for certain without examining his long-form birth certificate. 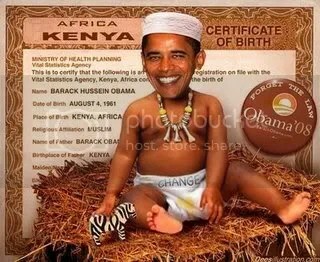 That is the only document that can answer the questions as to who his parents were and where he was born. Digital short forms won’t do it. Newspaper announcements won’t do it. New documents created by Hawaii for the purpose of quelling the controversy and making money off it won’t do it. And Barack Obama’s autobiographical fairy tales won’t do it. I’m not afraid of the truth, no matter what it reveals. Why are Barack Hussein Obama Jr and his supporters? And then there were 11. The push at the state level to ensure no future president enters office under the cloud of suspicion that he or she might not be constitutionally eligible is growing. At the request of a local tea-party group, Tennessee state Sen. Mae Beavers has filed a bill that would require presidential candidates to show an original birth certificate establishing constitutional eligibility for the office before getting on the ballot beginning in 2012. Beavers told a local television station she said she wouldn’t comment about whether or not she believes Obama meets the test because she has no personal knowledge about whether or not he can prove it. She said, however, this legislation would erase all concerns in future elections. “We just want to make doubly sure in Tennessee if we put someone on the ballot, they are qualified to run,” said Beavers. That makes 11 state legislatures now considering such bills – with several of them well on the way to passage. There is Arizona’s HB2544, Connecticut’s SB391, Georgia’s HB37, Indiana’s SB114, Maine’s LD34, Missouri’s HB283, Montana’s HB205, Nebraska’s LB654, Oklahoma’s SB91, SB384 and SB540, and Texas; HB295 and HB529. New Hampshire last year adopted HB1245, but it requires only a statement under penalty of perjury that a candidate meets the qualification requirements of the U.S. Constitution, which is something similar to what the political parties already state regarding their candidates. Other plans were considered last year in Texas, South Carolina, Oklahoma, Missouri, Minnesota, Maine and Arizona, and Arizona’s probably got the closest to law, falling a “pocket veto” short in the state Senate, despite widespread support. This is the one that could change the game. A plan in Arizona to require presidential candidates to prove their eligibility to occupy the Oval Office is approaching critical mass, even though it has just been introduced. “If both the candidate and the national political party committee for that candidate fail to submit and swear to the documents prescribed in this section, the secretary of state shall not place that presidential candidate’s name on theballot in this state,” the plan explains. Who would have thought that America would be questioning the eligibility of the current person occupying the White House, who would have ever thought that one of our political parties is so hungry for power,so set on destroying American and rebuilding it as a Socialist Regime that they would go to any lengths to circumvent the rule of law our constitution and the American people to achieve fulfilling their SOCIALIST/COMMUNIST AGENDA. During Monday night’s edition of “The O’Reilly Factor,” the host read an e-mail from Ed Harris, a viewer from Youngsville, N.C.
O’Reilly invited and then disinvited WND Editor Joseph Farah on his program to have a discussion about Obama’s legal qualification for office. Farah had challenged O’Reilly in a column about his assertions that he had investigated the questions involving Obama’s birth certificate and found them to be without merit. At the time, Farah wrote: “I have a challenge to my old buddy Bill O’Reilly – put up or shut up! “You claimed you and your news organization examined Obama’s birth certificate last year and found it to be in order. “Can I ask a question, Bill? Why don’t you simply reveal to your viewers exactly what you saw and what you found? Farah said he was not surprised O’Reilly wouldn’t agree to a civil discourse and a calm discussion of the facts. 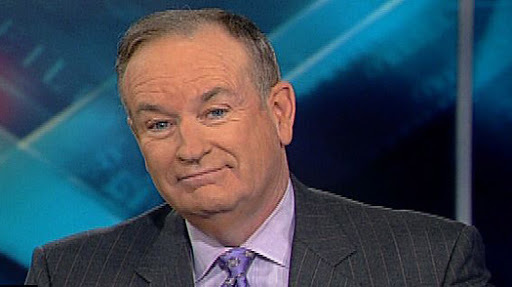 “I wanted to shed light on this issue, but evidently O’Reilly only wants ratings heat,” he said.